Quitting heroin can be extremely difficult, but for those who have a sincere desire or motivation to quit, there are a variety of treatments available and recovery is absolutely possible. These include both behavioral therapies and pharmacological treatments. Both approaches to treatment, behavioral and pharmacological, can be effective individually, but research has shown that integrating both types of treatment is most effective for some heroin users. Comprehensive treatment programs are considered effective if they not only help the addict become abstinent, but depending on the individual, also restore a degree of "normalcy" in brain function and behavior, increase employment rates, lower the risk of HIV and other diseases, and reduce criminal behavior. Usually, heroin users will go through a detoxification program before beginning their long-term treatment program. During detoxification, patients are sometimes given medications to lessen the withdrawal symptoms, which can include pain, diarrhea, nausea, and vomiting. Although the detoxification process itself is not addiction treatment, it can be an effective first step when followed by behavioral therapy or pharmacological treatment, according to the National Institute on Drug abuse research. Medications which have been approved for the treatment of heroin addiction work through the same opioid receptors in the brain that heroin works on, but are safer. These medications are divided into three types: agonist, which activate opioid receptors; partial agonist, which activate opioid receptors but produce a lesser response; and antagonists, which block the receptor and therefore the rewarding effects of opioids. Methadone (Dolophine or Methadose) is an opioid agonist that is taken orally and is, therefore, slow-acting. It works by dampening the "high" that heroin users experience while at the same time preventing withdrawal symptoms. Methadone is dispensed to patients on a daily basis through approved outpatient treatment programs. The oldest of the pharmacological treatments for heroin addiction, it is still an effective option for patients who do not respond well to other medications, according to the NIDA. Buprenorphine (Subutex) is a partial opioid agonist. It works by relieving the craving for heroin without the "high" or dangerous side effects of opioids. Suboxone is a medication that contains buprenorphine and naloxone, which is taken orally or sublingually. It is designed to prevent attempts by patients to get high by injecting the drug. If Suboxone is injected, it produces withdrawal symptoms the user does not experience if they take the medication orally as prescribed. Buprenorphine has been approved to be prescribed by certified physicians, making daily trips to a clinic unnecessary as required with methadone. This makes the treatment more accessible than methadone. Generic versions of Suboxone are also available, making it a less expensive option. Naltrexone (Depade or Revia) is an opioid antagonist. It works by blocking the action of opioids in the brain. Naltrexone is not addictive, sedating and does not produce physical dependence. One limit to the effectiveness of Naltrexone has been patient compliance, but a long-action, injectable version of the medication (Vivitrol) that can be administered once a month has improved patient compliance by eliminating daily doses. There are many behavioral treatments available for heroin addiction that have been found effective by NIDA research. They are available in both residential and outpatient settings. Two of these approaches are contingency management and cognitive-behavior therapy. In a contingency management program, patients typically earn points in a voucher-based system for each negative drug test. The vouchers can be exchanged for items that encourage a healthy lifestyle. 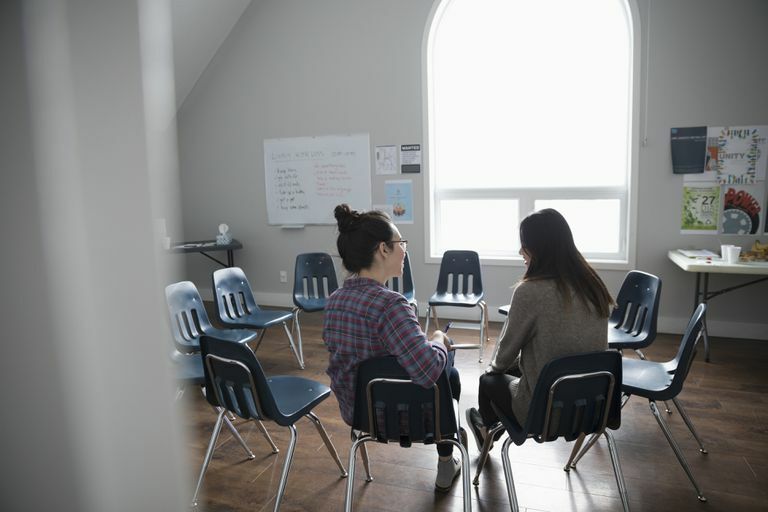 In cognitive-behavioral therapy, patients are taught stress-coping skills and learn to modify their expectations and behavior related to drug use. NIDA research has found that both of these therapy approaches work more effectively if combined with pharmacological treatment. National Institute on Drug Abuse. Heroin. Research Report Series Updated January 2014. The Partnership at DrugFree.org. Heroin. Drug Guide. Is Suboxone Better at Treating Opiate Addiction Than Methadone?